Boredom caused my dog to hide her toys obsessively, and it can lead to other destructive behaviors if we’re not paying attention. This is a cautionary tale of how finding a bone in my coat pocket made me realize my dog had a real toy hiding problem. A dogs instinct to dig and bury objects goes back a long way. In the wild dogs didn’t know when or how they were going to score their next meal, so they began to store their extras. Dogs developed the evolutionary behavior of burying their food for later use. Burying their extras in dirt not only helped mask the scent it also worked as a way to preserve their food. It’s not uncommon for our canine friends to hold onto some of those instincts and bury bones or food out in the yard. But this behavior isn’t limited to just bones outside – certain toys can trigger that same hoarding instinct. I learned this first hand when I started finding toys in the strangest of places. Before I had Laika I didn’t know about the joys of having a dog that hides everything. All my former dogs had access to all of their toys at any given time and it was never an issue. When we wanted to play we’d just grab the toy of choice and when the game was over the toy stayed where it was. With Laika though her toys began disappearing. It didn’t take long for me to catch on to her hiding habits. When I arrived at work one morning I found her green bone in my coat pocket. After closer inspection I started finding toys hidden in the couch, in pillows, under rugs, and in my tennis shoes. After I caught onto her little hoarding habit I started watching more closely. She’d take a toy and bury it under blankets, in the laundry basket, or between couch cushions. Most hiding spots were never deemed good enough for her either; she’d return frequently and hide them somewhere else. This could go on for hours if I didn’t intervene. I didn’t see the correlation between my dogs resource guarding and the hiding of her toys right away. I attribute this to the fact that sometimes I’m a bit dense when it comes to catching onto dog behavior, but also when you hear about resource guarding it’s almost always centered around food. In our day to day business Laika would regularly become fixated and possessive of a certain toy. As soon as that fixation began she wouldn’t be satisfied until she’d found her perfect hiding spot which often included at least 6 alternative hiding spots. What began as something I saw as a funny quirk turned into a full time obsession. The more I watched her behavior as she hid things the more I realized it wasn’t some harmless habit – she was completely fixated on it. After putting two and two together and realizing that having abundant resources can often lead to more resource guarding I quickly put her extra toys on the shelf. My human brain assumed that extra toys would make Laika rest easy. She wouldn’t need to hide and guard things if she knew they’d always be there. Of course dogs don’t see it that way – when dealing with resource guarding more resources just equals more opportunities to guard. That’s the toughest obstacle I face when it comes to training Laika – trying not to over analyze every behavior as us humans do and just go with what works. In this case removing the extra toys was enough, no more analysis needed. When you have a dog that guards objects it doesn’t take long for you to pick up on their defensive signals. After watching her hide her toys a few times I saw that look – the one I knew would lead to a growl if approached. It’s the same look I’d get when I walked towards her food bowl – but this time it was with a stupid green rubber bone in her mouth. Knowing that there were far better ways for her to focus her energy I started limiting her access to toys and giving her more productive things to do. I didn’t want to watch my dog fixate on hiding her toys for hours, nor did I want her to have the stress that goes along with trying to guard it. Instead of having a whole toy box full she’d only be given a few at a time. It worked as simple as that. Laika’s obsessive hoarding career ended as soon as I put her extra toys away. Now she has 2 or 3 toys at any given time and they’re rotated to keep them ‘new‘ and ‘exciting.’ It helped her resource guarding and it also stopped her from hiding her extra toys. Although I miss finding surprise toys in my pockets every now and again limiting the amount of toys was the right thing to do. It might have been cute and funny at first but for Laika hiding and protecting her toys became an obsession; a bad habit she developed out of boredom. Dogs do a lot of weird stuff, and when they’re bored these quirks and habits can develop into destructive behaviors. Most dogs hide and bury things without any problem at all. But if ever you notice your dog doing anything obsessively, or becoming oddly fixated on an object it’s time for a closer look. 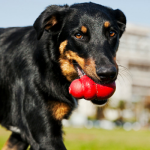 Our canine companions can develop compulsive behaviors just like us. For some dogs it’s chasing their tail, spinning in circles, obsessing over a laser pointer, or licking their paws until they’re raw. Once bad habits are formed there’s not always an easy fix. Sometimes these habits develop from a health issue, but many times they show up due boredom. Laika may have became fixated on hiding her toys due to some natural guarding instinct – but the behavior itself became an obsession because I wasn’t giving her enough to do. She was bored. I’ve never owned a dog like Laika before; a dog so young, energetic, and driven. I was not prepared at all and I failed to keep her entertained and occupies. To stop my dog from hiding her toys I also gave her more mentally stimulating things to do throughout the day. I started feeding her with food dispensing toys, taught her some new tricks, and started playing some basic nose work games. Just a few quick sessions each day made a big difference. Dogs that are bored have a tendency to develop destructive behaviors such as chewing and excessive barking. And for some dogs it’s hiding toys. 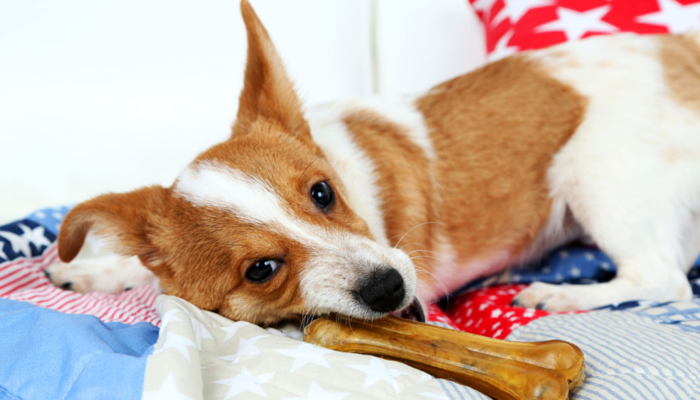 By giving your dog a routine that includes a few extra play sessions and/or physical exercise you can help cut down on their boredom, and in turn help prevent problem behaviors from developing. If we don’t show them what to do they’ll come up with their own routine, and it’s often one we’re not fond of. After realizing how bored Laika was we started going on more adventures. 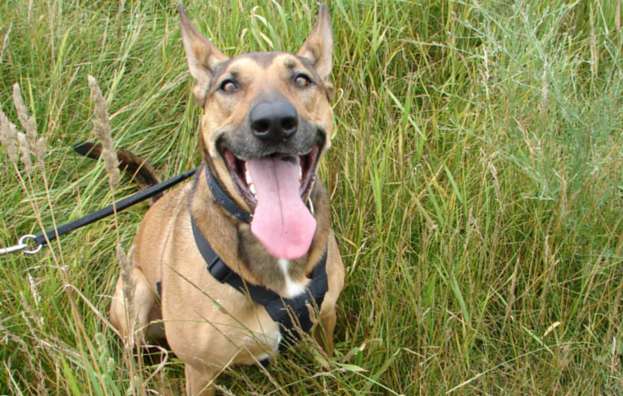 Tip – if you find yourself with a young Shepherd mix it’s unlikely that they’re going to be content as a couch potato. Luckily I (eventually) caught onto her naughty, compulsive behaviors and started focusing her attention elsewhere. If our dogs aren’t given enough to do they’ll find a way to entertain themselves – and that’s usually not going to end with a habit we like. 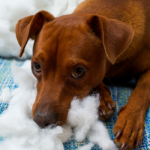 I often hear dog owners talk about a lot of the naughty behaviors their dogs have picked up – whether it’s destructive chewing or barking non stop. I’ve often wondered if these dogs are doing what Laika did – finding an outlet for all their extra pent up energy. Since dealing with Laika’s toy hiding obsession I’ve dedicated a lot more time to making sure she’s given plenty of “jobs” to do – even if it’s just chasing bubbles. I may have stopped Laika from hiding her toys by simply putting them on the shelf, but I had to find a way to focus all that extra energy. 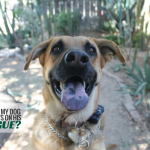 If your dog is exhibiting any repeated bad behaviors it might be time to look at the underlying cause. Instead of just punishing a bad habit and walking away spend some time letting your dog know what is acceptable. Dogs look to us for guidance and you might be surprised to see how well some simple redirection can work. Laika has a lot of focus and energy to burn – it’s my job to make sure it’s put to good use. Aww thanks so much. It just took me so long to realize her little toy hiding “game” was stressing her out, and I don’t know why. I’m thankful it was an easy fix and we were able to put that energy to use elsewhere. None of my dogs have ever buried edible treats (they scarf them down as soon as they get them) but my Border Collie did used to play a game of digging his toys into his bed… however there was no guarding behaviour – he’d dig up his bed, hide the toy under the blankets, then dig up the toy – play with it for a while – and do it all over again. For him the game was digging out a toy. He never looked stressed, it was just him having fun. If I approached he’d wag his tail and try to get me to join in (I used to stuff a bunch of toys under his blankets for him to dig up a “bounty” all at once). Same with the “I’ve lost my ball under the coffee table” game – he’d deliberately push the ball under an item of furniture and then “dig” it out. When he pushed it too far and couldn’t reach it I’d be called on to retrieve the ball. I suppose these games were invented because he got bored inside – but I never thought of them as a problem and he never looked stressed or anxious playing them, I was always welcome to “join in” on his games and the coffee table one was invented (I think) to force me to get up and join in (since he couldn’t reach the toys that were stuck too far under furniture). The games never became an obsession – he’d play for maybe 10 minutes or so and then do something else. But he was walked very regularly since we lived in an apartment – I took him out 5 – 6 times a day so he never spent long stretches of time indoors to get that bored. 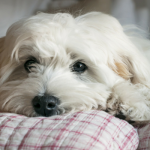 Yes, dogs can develop weird habits due to boredom. One of the examples of bad habits is digging holes in the yard. It’s important to know why your dog did something otherwise we might neglect their needs and wants.